Indie horror games are two a penny these days, just look at Steam Greenlight and you won’t go far without running into one. 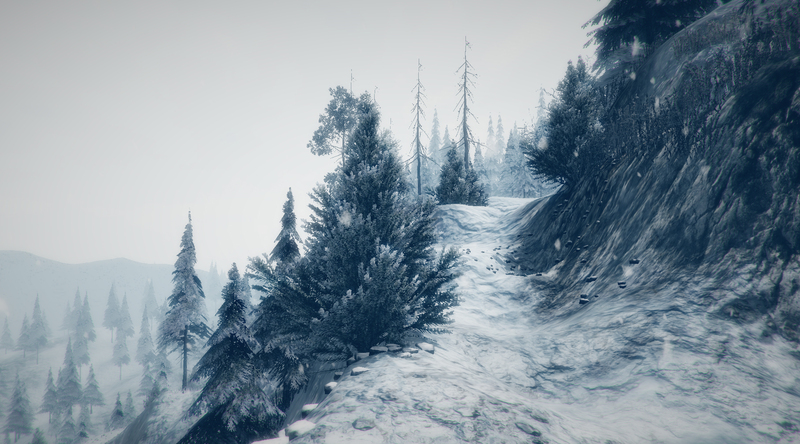 Polish developers IMGN.pro are trying their hand at it with Kholat, using the mystery of what happened in Russia’s Ural Mountains, known as the Dylatov Pass incident, as a backdrop for their game. 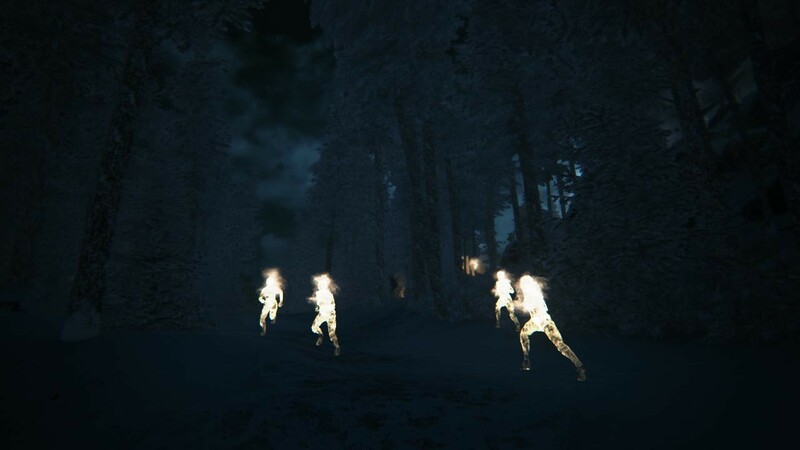 So is this venture onto Russia’s snowy peaks worth the admission fee, or does it slip and fall into the generic, boring pool that is most independent horror games? As far as settings for a horror game go, this is a damn good place to start. The incident occurred in February 1959, on the eastern side of Kholat Syakhl. Search and rescue for the group identified that the group had torn their tents from the inside to escape some sort of threat, barefooted and under a heavy snowfall. The bodies were found showing no signs of any struggle, yet some had fractured skulls and ribs, as well as internal damage. The Soviet government said their deaths were due to an “unknown compelling force”, and closed off the area for years. This kind of tragic, mysterious story with no guaranteed answer as to what happened is perfect for a survival horror game within a desolate, barren environment. The game is one of the first commercial titles to be developed using Epic’s new Unreal Engine 4, allowing for some stellar backdrops and environments to explore. For a technical demonstration of what a small indie developer can do with the engine, it’s fantastic. But an engine a game does not make. So you begin your story in a snow-covered town, with no indicators or objectives, not knowing where to go or what to do. The environment is created in such a way that it gently guides you to where it wants you go, into a small tunnel after a row of arching trees to where you eventually whiteout and you hear a voice. And it’s the voice of Sean Bean, which is pretty high profile for a small indie studio from Poland. When you regain control, its nightfall and it is here where the core gameplay emerges. You get a map, compass and a torch. You need to find your way in this area and find out what happened to the hikers who ventured up this mountain. It sets itself up well to fit in with the story, you have no idea where to go or what to do, and you have limited knowledge of the area, save for any jottings made automatically on the map when you locate notes or other key pieces of information on your travels. The environment you explore is visually stellar, and alongside a haunting soundtrack and the desolate snow covered forests, creates a really good atmosphere and ushers exploring and poking around. Now while this seems like a great idea, it lack in execution in a few key areas. With no way to make your own markings or notes on the map, or drop any sort of breadcrumb trail, the game leaves you to backtrack and wonder way more than you should need to. Granted, this fits in with the state the hikers from the story would have been in, fleeing from their attacker, but as a gameplay mechanic it becomes dry and monotonous as you try to figure out where you are and where to go. However you’re not alone. Orange footprints and outlines of imposing figures indicate things that want to end your aimless wondering and collection of information. One hit from any of them and you’re dead, with no way to defend yourself. Running away from the monsters and hiding would be suggested, however you can’t run very far and the game is not very clear at all when it comes to hiding correctly, leading to annoying deaths. Another gameplay mechanic that is lacking is the checkpoint system. As well as monsters you have to contend with things such as snow shelves giving way to spike laden pits or cliff edges, again instant killing you and putting you back to your last save. The saving is entirely based off your hunting of the environment, one triggering for each note and story section you unfold, with no means of a quick save at all. This combines to give you gameplay whereby you can get cheaply killed, and lose anything up to half an hour’s worth of progress for a slight misstep or incorrect hiding spot. 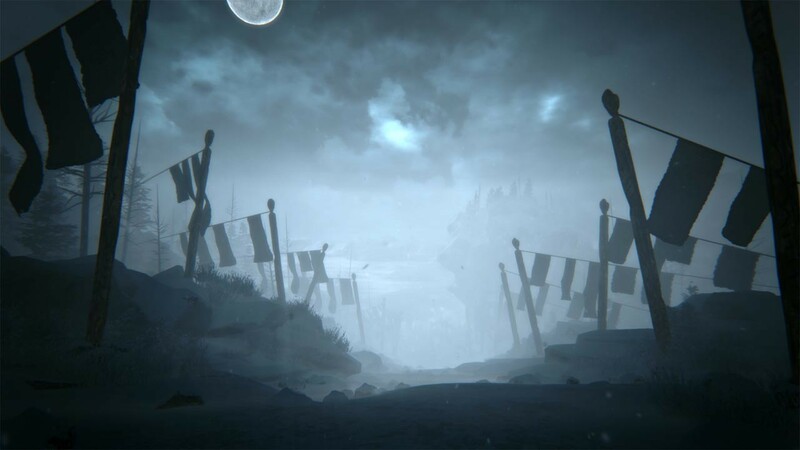 To conclude, with Unreal Engine 4 providing the tools and engine for an amazing backdrop and gorgeous environment to explore, a really interesting and mysterious story to build from, and Sean Bean’s voice work guiding the player, Kholat has a lot going for it. But it lacks in some key areas, with the player getting lost and backtracking constantly, a convoluted and disjointed narrative, and losing large chunks of progress due to cheap death deter from what the game could have been. This could have really been something noteworthy, but ultimately falls short. This entry was posted in Uncategorized and tagged IMGN.pro, Indie, Kholat, Steam. Bookmark the permalink.